When? 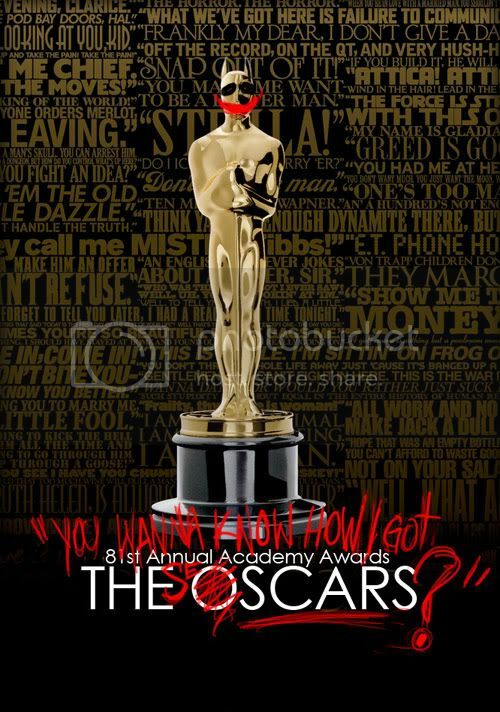 Sunday February 22 at 7pm Eastern Time, just in time for the Red Carpet. Bring snacks and drinks and lets chat over the show and cross our fingers for Heath. This thread will be for now locked and be unlocked in time for the chat. Good evening, ladies and gentlemen. We are tonight's entertainment. And here we go.....let's get a smile on that face. I hope the power stays on for you keren. I am watching the Red Carpet now. Keren. Oh no. I hope the power stays on. Just watching the start of Sky One's coverage now...and they did a brief review of old Oscar ceremonies to kick off the show. One of the first folk they showed was Jake presenting an award...and then they showed a lovely close up of Heath and Michelle from 2006, and Ang accepting his award. Thanks, christie - have a great evening and good night sleep. Yeah who can forget 2006? I am still sore from that punch. Me too. That is the last time I saw the Oscar. You staying up late this time? well hopefully we'll be celebrating tonight! I won't ever forgive the Academy otherwise. Gotta get a quick dinner fix. Be back soon. We will be!! Not just you - count me in too. Yeah - I've got a day off tomorrow so I'm here for the whole thing. Or at least until the Best Supporting Actor award. Sky One have just shown a clip from TDK...first of many, I guess. Hey, does anyone care about any of the other awards tonight? I'm keeping my fingers crossed for Kate Winslet winning Best Actress for The Reader and I'd like to see Slumdog Millionaire get Best Picture too. That's exciting to see you all here! Hi from Barcelona ¡ I can't stay so long because here the timetable is horrible to follow... 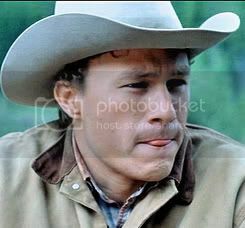 But I only wanted to share my expectations with you and keep my fingers crossed for our boy ¡.Let's hope our love can do something for what it'll be his last and great award... Heath, all ¡. Are those in the US watching on the E! channel? "Our" red carpet person Fern Cotton is right next to Ryan Seacrest. Hello from Great White North Canada! As a matter of fact it's snowing.